Hip replacement surgery planning. 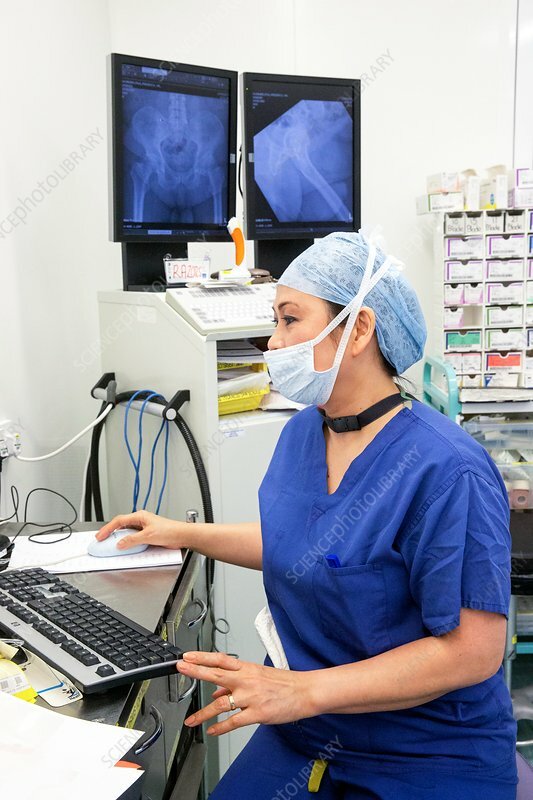 Surgical team member examining computer notes and a patient's X-rays (on screen) during hip replacement surgery. The X-rays will help the surgeons prepare and plan for the surgery, which involves removing part of the joint and replacing it with artificial parts (prostheses). Photographed in the UK.